Paradise Pool Services is a family-owned company, located in North Georgia, just north of Atlanta, with many years spent working in all areas of the pool industry. We have extensive experience in building pools, from ground excavation all the way to filling them with water. We are specialists at making sure your backyard pool remains the paradise you deserve. If your swimming pool is not your paradise, we want to change that. Unlike many companies out there, we will not sell you a pool liner and use sub-contractors to do the installation work. The owner will be on site to assure that you receive a professionally done, quality job every time. With literally thousands and thousands of in-ground vinyl pool liners installed, we make sure you get the maximum life out of your replacement pool liner. Paradise Pools uses only the highest quality pool liners that are manufactured right here in North Georgia. We also sell and install safety pool covers, salt generator systems, heating systems, and other swimming pool components. 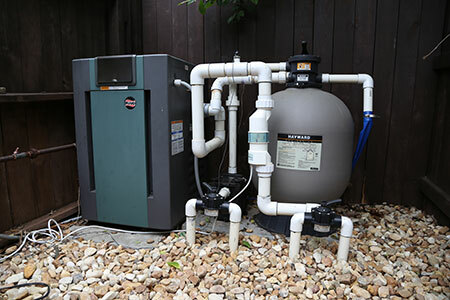 We offer an expert and comprehensive pool repair service that covers swimming pool pumps, filters, plumbing leaks, pool heaters, etc. If your backyard paradise is in need of a face-lift, we also offer full pool renovations. 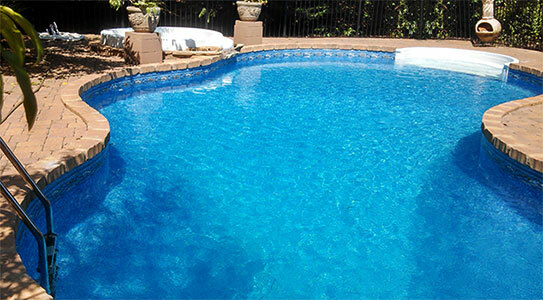 You can have Paradise Pool Services open your pool to ensure safety and endless enjoyment all summer long. We will also close and wterize your pool to prevent any damage from occurring during the off-season.